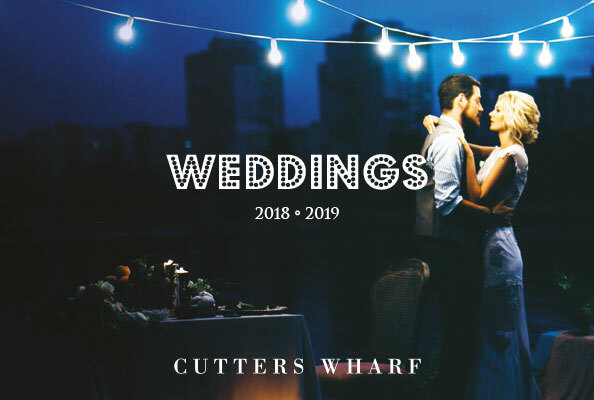 A unique location on the bank of the river Lagan, Cutters Wharf is the perfect setting for any occasion. 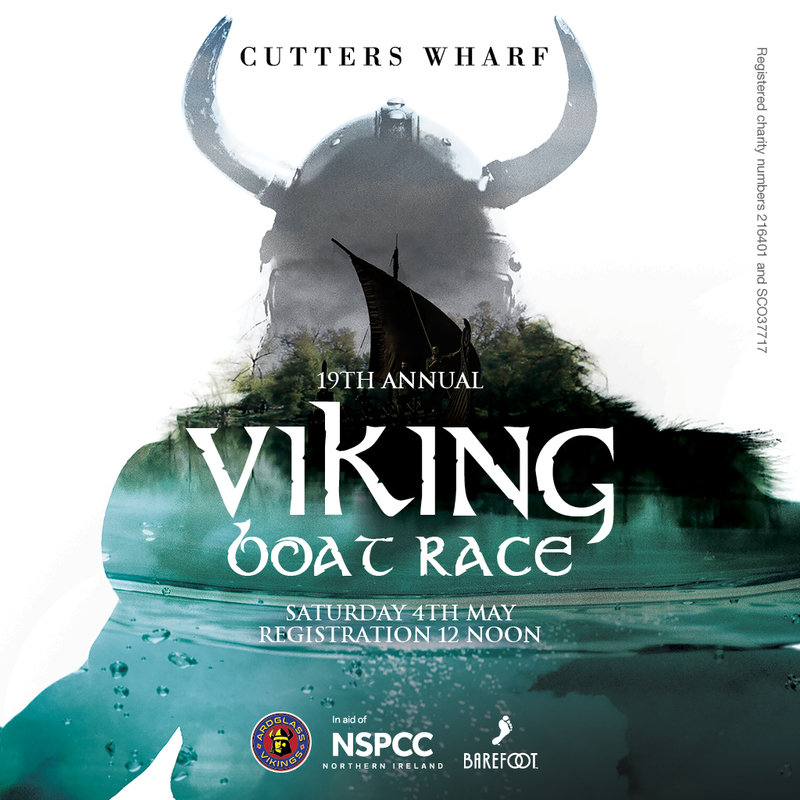 For a tasty lunch, rest stop off the tow path or business break our Bar has it all. Dine al fresco on our fully heated River Terrace with state of the art awnings or host your event in our Sunset Terrace – wonderfully cosy for all-year-round dining. For that something extra, enjoy stunning waterfront vistas from the comfort of our first floor River Grill. 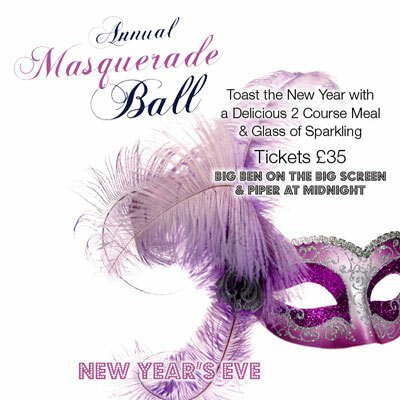 Look no further for delicious wining and dining, great offers, live sport and fabulous entertainment. 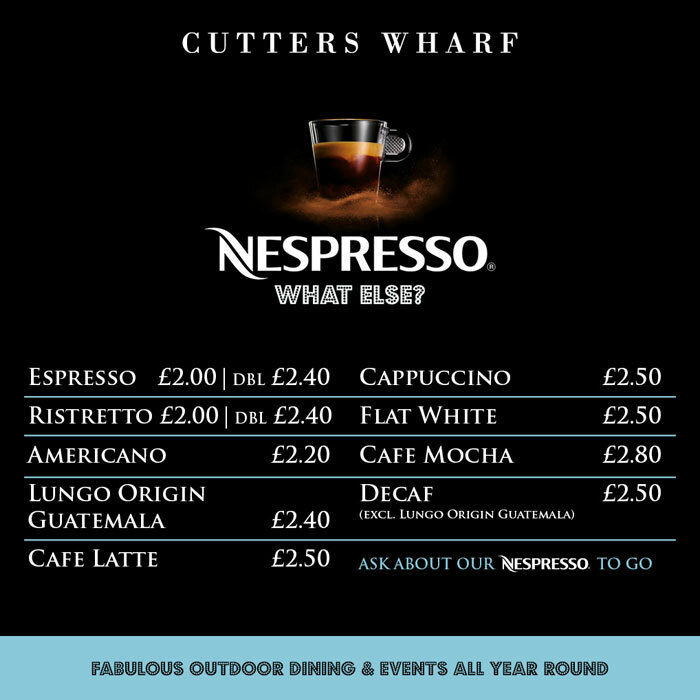 If you decide to take the car, we have an extensive Nespresso menu, ample free car parking and indeed lift access to cater for all customers. 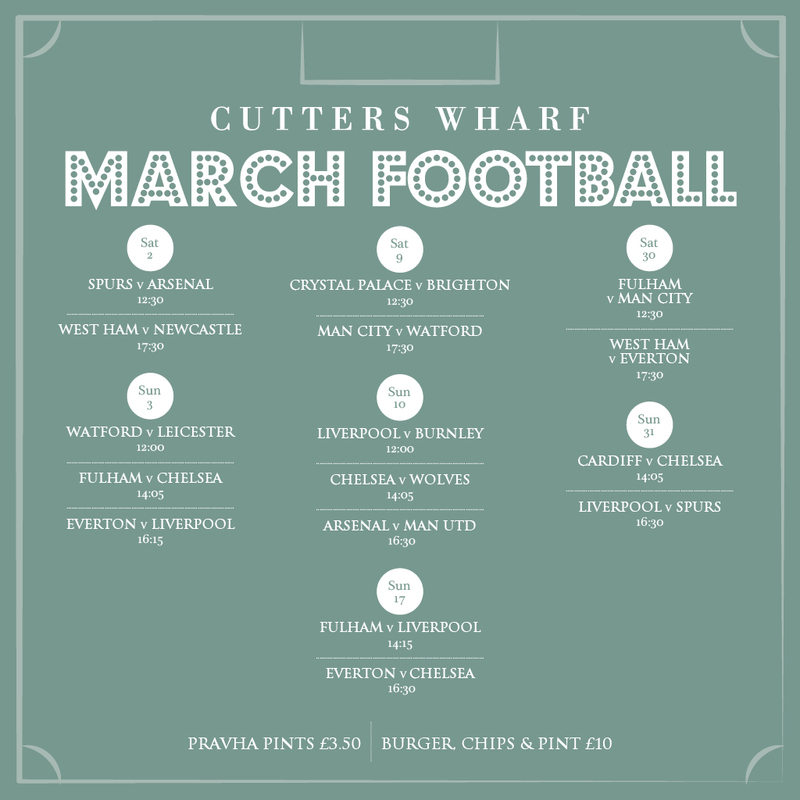 Cutters Bar buzzes throughout the day with locals dropping in for a pint, a glass of wine or a coffee with lunch. River Lagan Towpath walkers take advantage of its prime location to rest their weary feet midway on their journey & perhaps enjoy a bite of lunch before setting off again. 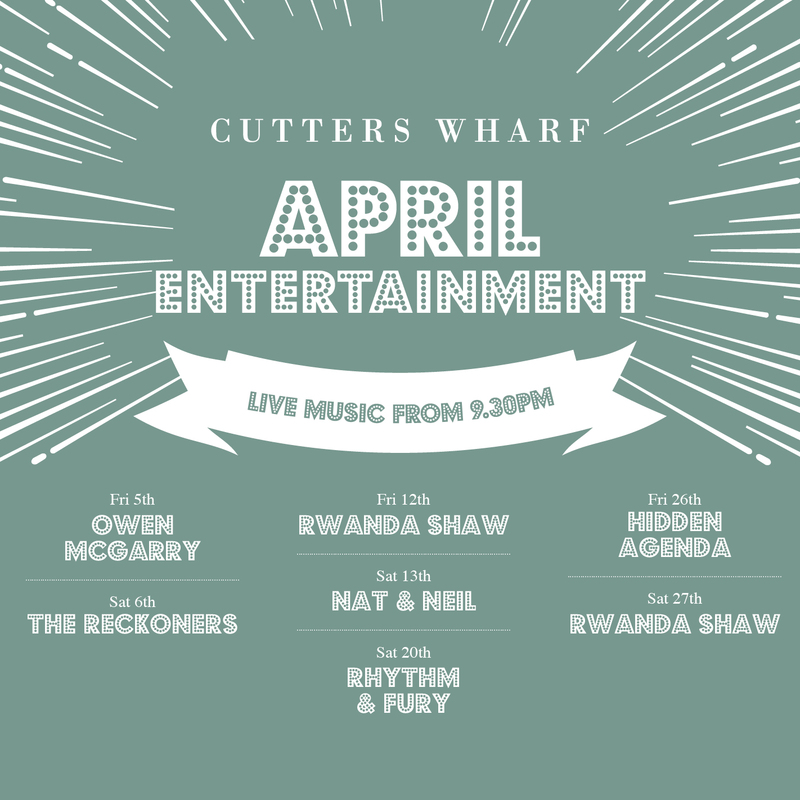 Live entertainment from some of Belfast’s finest bands throughout the weekend means that there is never a dull moment in this riverside haven & that’s only if you miss the locals chatter! The perfect place to enjoy a riverside soirée with friends, family or business partners. Designed for luxurious, modern comfort, Cutters offers a more relaxed style whatever type of dining you prefer. Perfect for an intimate lunch or dinner, we still have space for all of life’s celebrations. The extensive menu with its exciting combinations of dishes ranging from re-interpreted classics to modern flavours is sure to tempt your taste buds. 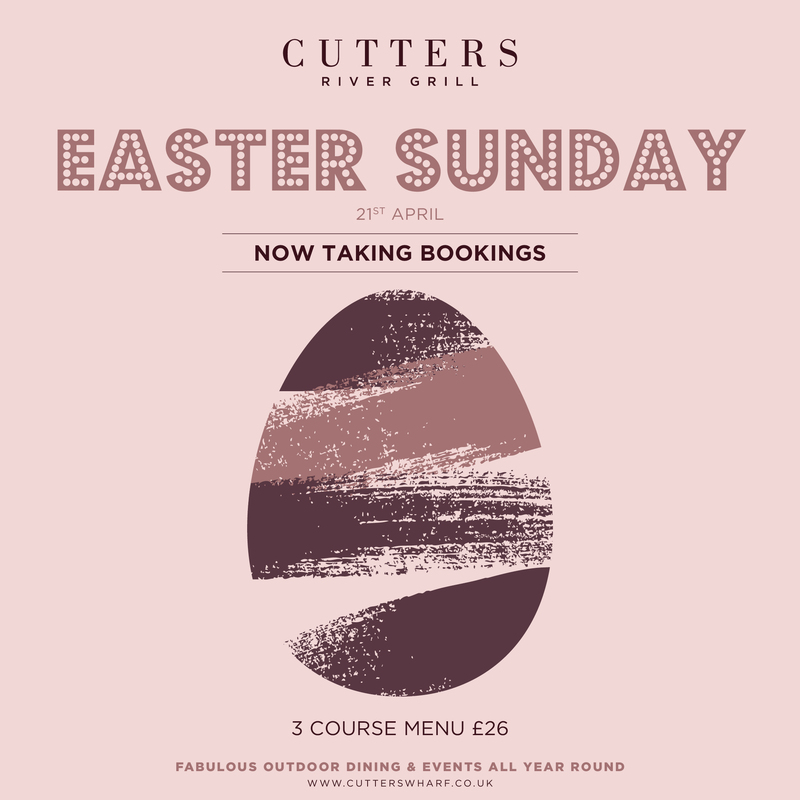 Enjoy a casual lunch, a chilled bottle of wine or gin cocktail any day of the week on our stunning outside terrace and worry not as even if Northern Ireland’s famous forecasts aren’t behaving we have state of the art retractable awnings and blinds that allow you dine ‘al fresco’ all year long, whatever the weather! On sunny summer days, save yourself the hassle, and dine from our delicious BBQ menu whilst enjoying unique vistas of the Lagan. Plasma screens and surround sound, showing all major sporting fixtures and events throughout the year, make our side terrace and sunset terrace area the perfect outdoor spot for all fans. Processed in accordance with GDPR. 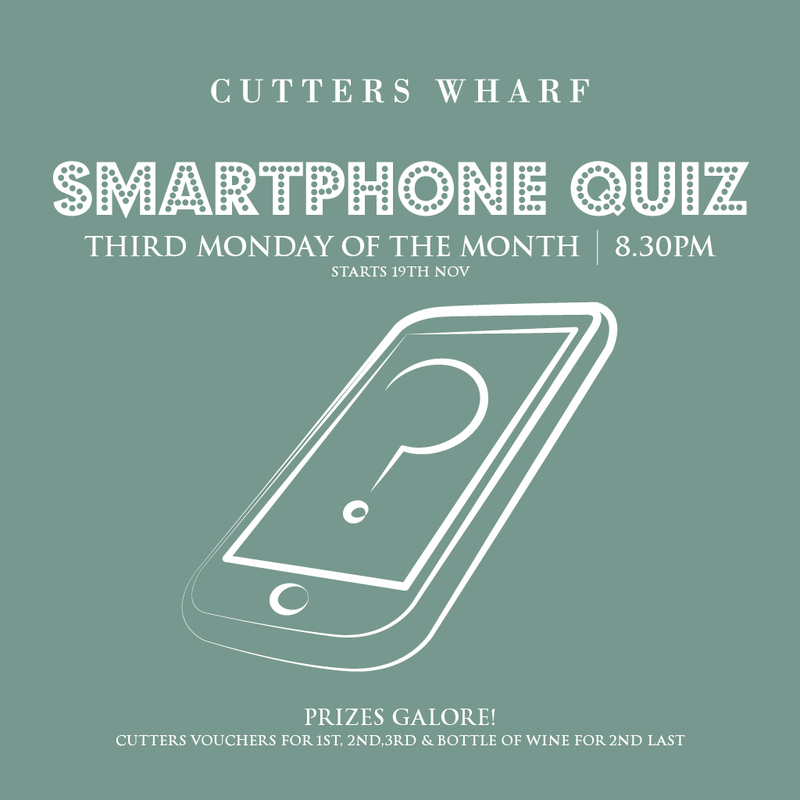 For Cutters Wharf marketing use only, no third parties.